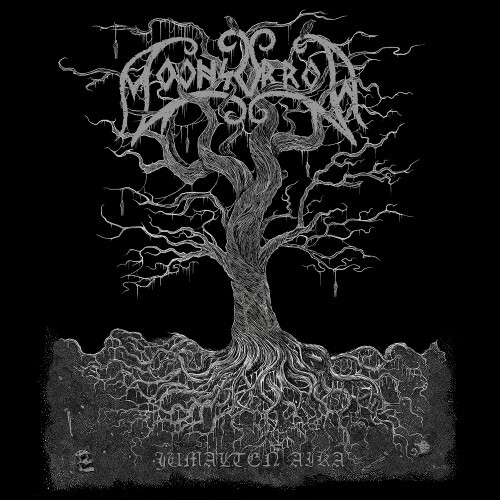 Currently viewing the tag: "Jumalten aika"
Moonsorrow is an enigmatic band whose fame and status in metal defy expectations. A band whose songs tend toward the 15-minute mark, who sings in Finnish, and who obeys no label's release schedule is not a band that I would expect to be releasing one of the most anticipated albums of 2016. The first album in 5 years—follow-up to Varjoina kuljemme kuolleiden maasa (henceforth Vkkm because lol), which was my Record o' the Year in 2011—Jumalten aika is a 5 track, 67 minute journey down the path cut by Moonsorrow in the years since their first releases. And it's a simultaneously difficult and comfortable release from one of Finland's premiere acts.